Recently, WizCorp decided to give up. 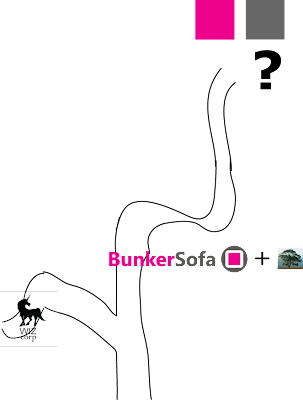 The reasons are that they don't believe in the project anymore and they don't recognize BunkerSofa's added values anymore. Well, BunkerSofa's role is to create new memes. Ultimately, the physical product itself doesn't matter. It's the neural activity induced by the product itself that matters. At BunkerSofa, we care about that, we care about that meme... But don't worry guys. Sebastien Bruel, represented by that peaceful green tree is still in!